The wife and I spent the holidays in Savannah. 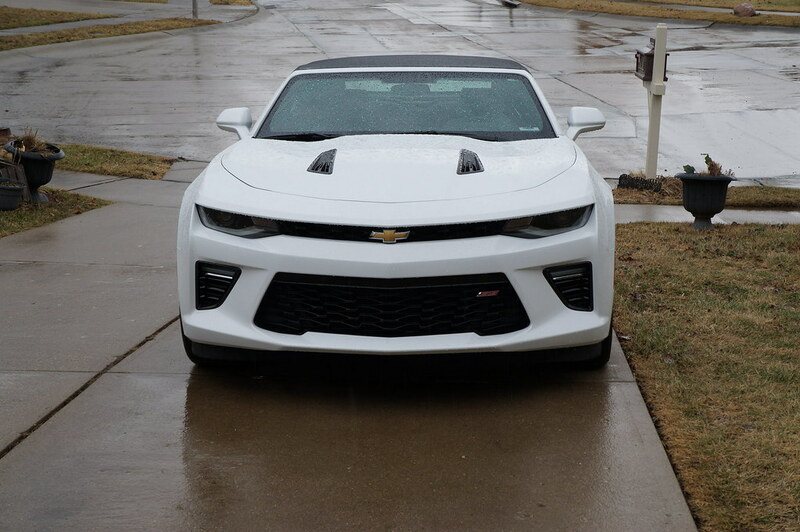 We rented a car for a couple of days, when I asked her what she wanted she said a Camaro. We ended up with an RS trim V6. All the stories you have read about outward visibility are true. Still it was a nice car and that V6 is very capable. When we got home I asked her if she could have one, what she would want. 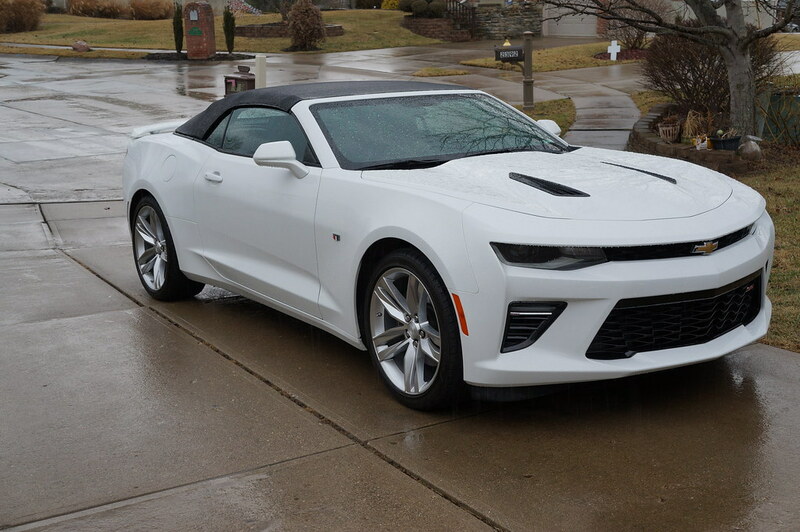 As it was pie-in-the-sky at that point in time, she said a white SS convertible. New would have been out of the question (I have a hard time spending that kind of money for any vehicle), so I started searching on Chevy's site for used. Lo and behold, there was a dealer local to us that had the very car, 2016 MY. 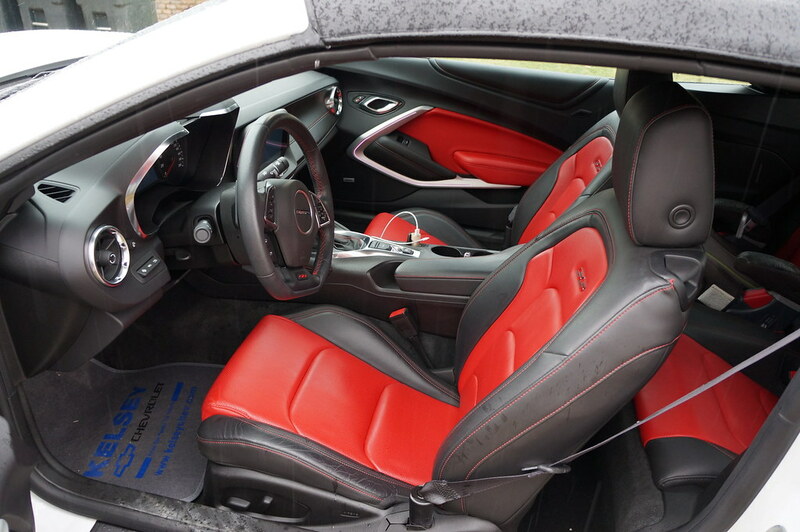 I asked her if she could live with the Adrenaline Red interior and she said yes. Went and took a test drive on a very cold day which wasn't optimal with the high performance summer tires, but it drove well. Then followed several weeks of looking into financing, being too sick to do anything and further looking at the car. The dealer put it on a lift so I could look at the underneath, it was very clean (even only having 6684 miles on it). After a little more back and forth, the heavens aligned and last Saturday we brought her home. Summit White with Adrenaline Red interior. Basically all the bells and whistles except for navi. 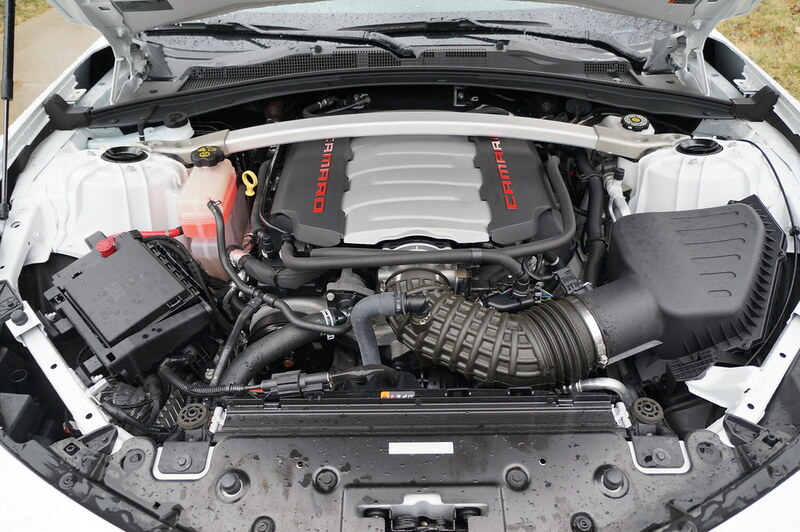 Has the magnetic ride dampers and dual mode exhaust. Sounds great, ride is fantastic. For some reason I don't feel as clastrophobic in this one as I did in the rental. Might have something to do with the rear windows being larger in the 'vert. Today I worked my way through getting the seat/mirror memory settings done. Then I programmed one of the remote buttons for our garage door opener, that was a PITA because I had to do the complete procedure. Finally I removed a sticker for a local car wash that someone had placed low on the windshield. I was barely able to reach it with my scraper due to the small area thanks to the dash interface with the windshield. What a right-royal PITA. As my wife said, who in their right mind takes a convertible through a car wash? One of my neighbors stopped over while I was doing that to check out the car. His wife came out of their house for them to go somewhere, he didn't run right over and she was glaring at me. He told me previously he used to have fast cars and she doesn't want him anywhere near one. I guess I might be considered a bad influence. It was warm enough here to drive to the store with the top down. Got a lot of looks for that, probably more than I do in the Miata. Last edited by chiefmg; 01-31-2018 at 04:48 PM. Lovely! I like the colors, but I'm biased. I cannot put my wife into a car like this, she has a lead foot. Congratulations on the purchase! Now that I've been in this house a year, I get a few stink eyes from the neighbors' SOs. With the Miatas occasionally decked out in track trim, friends' cars, and the like, I see the dudes looking as they roll by. I see the dudes looking as they roll by. My wife has a heavy foot too, she said she would probably be losing her license now. I said then I guess the cars will sit! I am not usually a fan of white cars but you are right, it is pretty. Should look better once I get black wheels on it. May I suggest painting the wheels to match the silver interior trim, or a shade or two darker? Black wheels with all the black trim on that car will look a bit heavy, especially if you consider the high beltline on that design. A metallic silver or Argent will give the wheel wells some depth and movement. I’m not a fan of all-black wheels personally. These stock wheels look great to me and remind me of C7 Corvette wheels. If they’re too bright, there are some beautiful shades of silver out there. My Mazda 6 wheels had a deep, lustrous “dark” silver that’s hard to explain. They are already a nice shade of silver. I know the shade of silver you are talking about for those 6 wheels, I would love to get a set for our CX-5. Think they would look great on the black body. Her car, her choice on the wheels. See my first post above. I find it ironic she wants them dark when she gave me such grief about the bronze wheels I used to run on the Miata (and yes, I reminded her of that because I like to live on the edge). Well, your Plastidip idea will work. It’ll give her a try before you buy opportunity in case she regrets all black. I’d suggest a 1” drop would do more for looks and performance than new wheels right now. She's been looking at pictures online so her mind is pretty much set. As for the suspension, I'm not touching that. We have the magnetic ride control, in order to change anything you have to buy the GM kit which includes having a dealer recalibrate the settings for the MRC. All in that is about $2000. She doesn't need anything more capable than it already is in the handling department. Are you going to tint the windows? Beautiful AO! Will the seats fit a Miata? Also, think hydro-dip for the wheels-go exotic with the wheel. How about snake skin? Last edited by John J; 02-01-2018 at 07:32 PM. Probably not. I have never tinted the windows in any car I have owned, only tint that was put on by the factory. Now that I am older with the eyes to match I don't want to deal with any reduction in visibility at night. It's not as bright up here as it is where you live anyway.